In addition to the core curriculum, students receive weekly instruction by specialists in PE, music, library, integrated Digital Arts and beginning in January 2018, Art In Action. All students school-wide participate in the December Hour of Code with Guide Wire Volunteers. Students can also participate in the After School Academic Center and Digital Arts Enrichment, which provide both academic support and enrichment opportunities after school including producing our daily broadcasts of K-O-W-L. We also other after school Enrichment opportunities which include drama, coding, chess, soccer and basketball. Additional enrichment opportunities are continually added to the scheduled based on Lead community feedback. Listen to our first podcast by KOWL students. The curriculum and instructional practices at LEAD are aligned with Common Core State Standards, recommendations for quality schools and with the District’s Standards of Excellence, educating all students to achieve their potential through a rigorous program that builds a solid academic foundation and challenge students to think critically and communicate effectively. 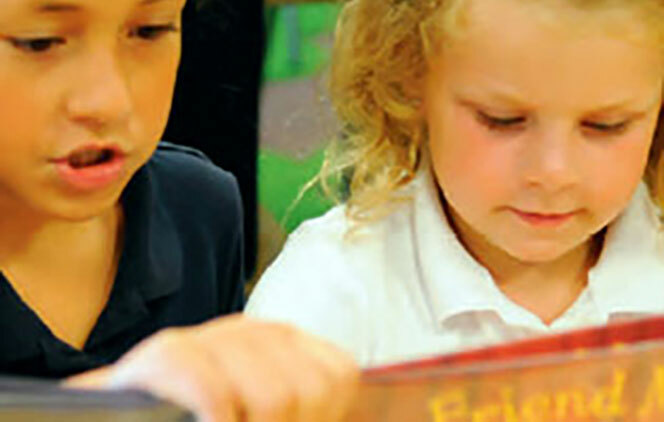 LEAD’s balanced literacy program of listening, speaking, reading and writing is based on the best practices of Early Literacy, Guided Reading, and the Readers’ and Writers’ Workshop Model. Mathematics and science instruction are activity, problem solving and communication based and promote investigation and both critical and higher level thinking skills. Continued Professional Development opportunities for teachers are offered in these curricular areas. The structured English Immersion program promotes English language development of English Language Learners. LEAD boasts a dedicated and well-trained staff with a wealth of knowledge in Literacy/Language Arts, Technology, English language development and Differentiated Instruction. Along with their dedication to academic excellence, the LEAD community believes in high expectations for all and the development of active, well-rounded, socially responsible citizens who positively impact today and the future.